From the location of the flat in Worli and the floor number to cost per square feet and which side the apartment faces and even the size of the bathroom, it would not be wrong to compare the experience of buying a residence in India to living out a soap opera. Buying a home is a dream for all of us but apart from the aforementioned aspects, what leaves several prospective home buyers in utter confusion is the industry speak of realtors and real estate agents. Terms such as FSI, Carpet Area, Built-up area is the gauge to measure an apartment’s value. Since most buyers do not know the meaning of these terms, a number of agents and realtors are able to take advantage of them. As a prospective home buyer, especially those looking to buy flats in Mumbai, Delhi, and other major metros; it is best to have an idea about these terms while buying a home. Here’s a short little guide to them. This term defines the area of the home excluding the thickness of the walls. In simple terms, it is the area of the home over which you can spread a carpet. 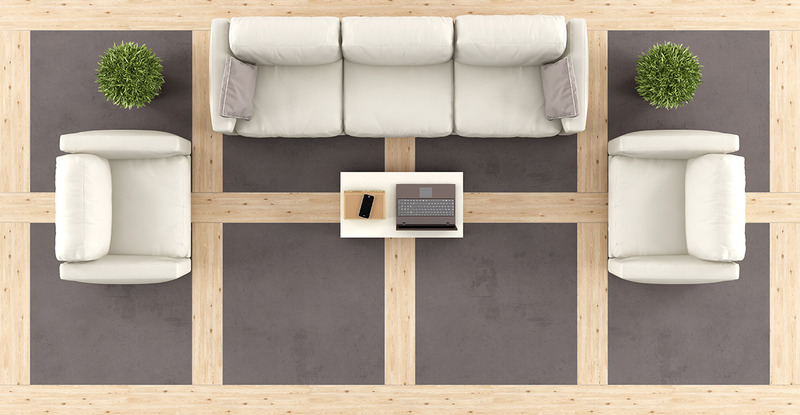 When you inspect a new home, keep an eye on the carpet space as that is the actual usable area in a home. Any part outside the home such as stairs, lifts, and walls is not included in this equation. Most realtors do not mention this space and instead go with the Built up Area or Super Built-up area while selling a residence. This is the part which realtors love. The Built-up area is everything included in the carpet space and the thickness of the home’s inner walls. So if you are looking to buy flats in South Mumbai and the built-up area is 2, 000 square feet, then the carpet space, in reality, is 1,400 square feet (30% unusable area). This is because built-up area leaves roughly 70-80% of the area as usable. Developers and agents use this term to define the saleable area. It includes the Built-up Area and common areas around the house. This includes corridor, lobby, lift, staircase, swimming pool, clubhouse, gardens, etc. It is the current trend in use. If you look at the flats in Worli and then see the prices based on the super built-up area, you will finally understand the humungous rates. In an ideal world, developers and realty agents should only take the carpet space into consideration while fixing property prices. However, that had not been the case until the Government of India introduced, passed, and implemented the Real Estate Regulation and Development Act or simply RERA. The Act came into effect on May 1, 2017, and brought with itself many provisions aimed at protecting the interest of homebuyers, improving transparency and accountability and encouraging investment in the real estate sector. A majority of prospective homeowners have welcomed this act and its provisions. One such being the definition of carpet area under RERA. The act defines it as the net usable floor of an apartment, excluding the area covered by the external walls, the area under service shafts, exclusive balcony or verandah area and exclusive open terrace area, but including the area covered by the internal partition walls of the apartment. Another boost to the homebuyer’s interest is the mandate for developers to sell units only on the basis of carpet space, and not built-up or super built-up area. With the introduction of a proper definition for the carpet space and the aforementioned mandate, it will prevent realtors, developers, and real estate agents from duping unsuspecting buyers and ensuring all houses for sale are allotted the right price tag. Homeowners are quite optimistic after the implementation of RERA but realtors are taking a steady, wait-and-watch approach. However, one thing is clear. From now, the carpet area is supreme. No more Built-up area and Super Built-up area for setting the price. Birla Estates 2017. All rights reserved.